Today is Wednesday, June 21, the 172nd day of 2017 in the Gregorian calendar, with 193 days remaining. This is the 153rd day of Donald Trump's presidency. There are 1,309 days remaining in his term, assuming he doesn't resign or is otherwise removed from office. The Solstice occurs today at 4:24 UT. 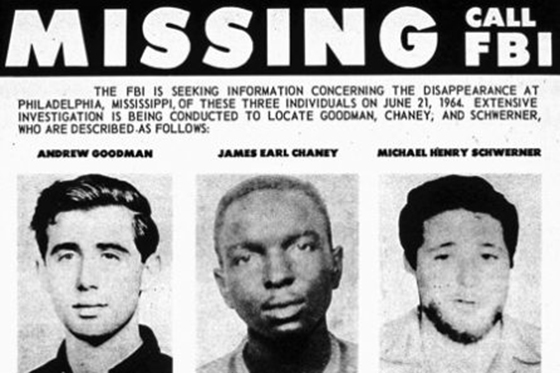 On this day in 1964, Three civil rights workers, Andrew Goodman, James Chaney, and Mickey Schwerner, were murdered in Neshoba County, Mississippi, by members of the Ku Klux Klan. 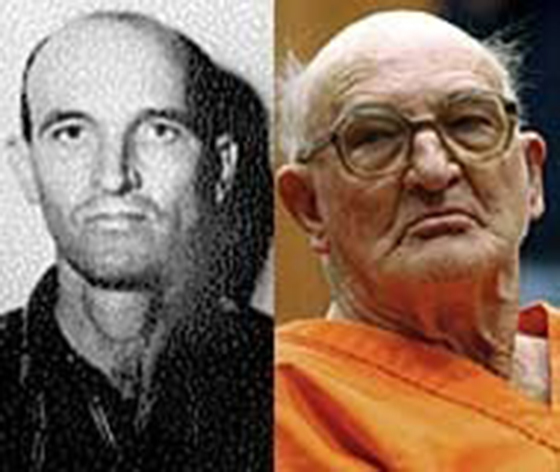 On this day in 2005, Edgar Ray Killen, an 80-year-old former Ku Klux Klansman, was found guilty of manslaughter in their deaths, 41 years to the day earlier. He was sentenced to 60 years in prison. He appealed the verdict, but the sentence was upheld on January 12, 2007, by the Mississippi Supreme Court. Among other things, today is also World Humanist Day. Florida woman buries father in yard, collects his Social Security benefits, officials say. Michael Flynn was present for weeks of daily C.I.A. briefings, despite widespread agency concerns that he was vulnerable to blackmail; Karen Handel wins Georgia special election, fending off upstart Democrat; Senate GOP leaders will present health bill this week, even as divisions flare; Suspect fatally shot in Brussels Central Station terror attack. Marital strain? Try puppy pictures for a better relationship. According to a study from a university in... Florida. Of course. Unproven treatments for 'Chronic Lyme Disease' lead to severe infections. Patients took prolonged courses of antibiotics for months or even years. More people are taking Vitamin D than ever. Here's why that might be risky. More than 18% of the population gets excess vitamin D—and more than 3% takes doses so high they could be dangerous. Google's new job search pulls in listings from all the top sites. he company says it’s using machine learning to help organize listings from different sources. Hawking urges multi-national Moon landing by 2020 to 'elevate humanity'. They should also aim to build a lunar base in 30 years' time and send people to Mars by 2025. Alex Jones' former wife says 'He looked like a moron' during Megyn Kelly interview. Related: Fox says Megyn Kelly NOT welcome back. It's like being told you can never eat rutabagas again. Think you're out of the loop? GOP health bill kept secret from Senators assigned to write it. How two common medications became one $455 million specialty pill. The racket of "convenience drugs." How sunscreen SPF is measured. Science? Nope. They cook fair-skinned people in the sun. And speaking of sunscreen: Scientists probe role of sunscreen in accelerating coral reef decline. Who really needs to be gluten-free? Probably not you. Italian farm acts as a lab to find out if animals can predict earthquakes. It looks like they can. Ether threatens Bitcoin. With recent price increases, the outstanding units of the Ether currency were worth around $34 billion as of Monday- or 82 percent as much as all the Bitcoin in existence. At the beginning of the year, Ether was only about five percent as valuable as Bitcoin. Google, not GCHQ, is the truly chilling spy network. There'll be a quiz later. Why Phoenix's airplanes can't take off in extreme heat. Also, the science behind Arizona's record-setting heat wave. Scientists say the possible benefits in most uses of triclosan and triclocarban- used in some soaps, toothpastes, detergents, paints, carpets- are not worth the risk. The statement, published today in the Environmental Health Perspectives journal, urges “the international community to limit the production and use of triclosan and triclocarban and to question the use of other antimicrobials. Dogs... so nice we domesticated them twice. Trove of new horror species discovered in Australian abyss. A month-long expedition off Australia's coast has returned with a whole new collection of abyssal beasts. European scientists are ready to test a vaccine that lowers bad cholesterol. "the AT04A vaccine, when injected under the skin in mice that have been fed fatty, Western-style food in order to induce high cholesterol and the development of atherosclerosis, reduced the total amount of cholesterol by 53%, shrank atherosclerotic damage to blood vessels by 64%, and reduced biological markers of blood vessel inflammation by 21-28%, compared to unvaccinated mice." The symptoms of dying... the hours before death are similar across the vast majority of human afflictions. A huge collection of Nazi artifacts was discovered hidden behind a bookcase in Argentina. Your car thermometer isn't accurate. It also isn't a thermometer. Radio host quits after he's told to be nicer to Trump. Trump seeks sharp cuts to housing aid, except for program that brings him millions. Judge won't make Trump University settlement objector post large bond. A woman objecting to the $25 million settlement of fraud claims over the Trump University real estate program will not be required to post a nearly $150,000 bond in order to pursue an appeal that could allow her to bail out of the deal. Trump's FBI director nominee Christopher Wray removed a reference to a case involving Russia from his bio. The obscure clause challenging Donald Trump. Trump's Attorney General, Jeff Sessions, lawyers up. Spicer searching for candidates to take over White House briefing. Sean Spicer doing fewer TV briefings because he 'got fatter' says Steve Bannon. Meet Andrew Weissmann, the prosecutor Trumpworld fears and loathes.